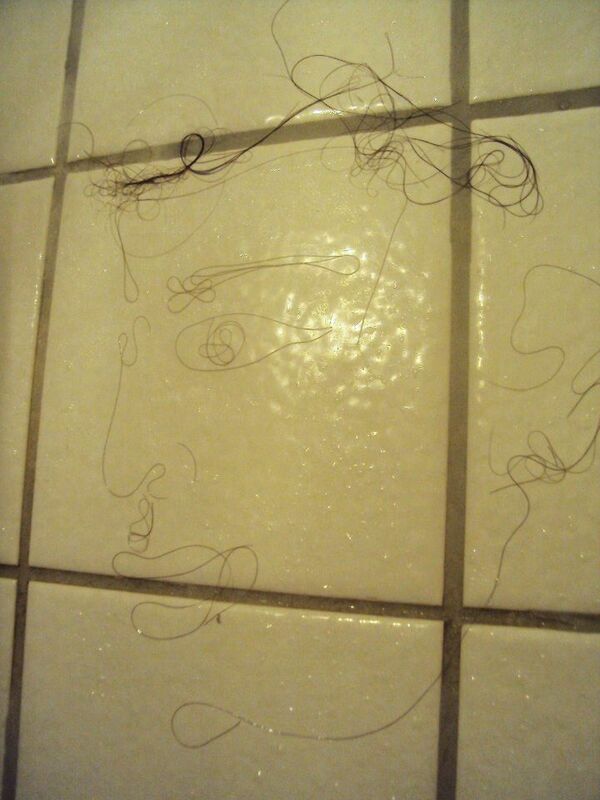 Hair on bath tiles - an artwork by Jeanette Mundt from the group show "Reckless Head" at Michael Benevento, and a drawing of a head with my own hair done while showering one evening, 2011. This probably means I need a better conditioner. Would like to return to this idea however, though now it may be difficult as I have just had my hair cut.